For the last several months, the Gulf’s fishing community has kept a close eye on H.R. 200, also known as the “Strengthening Fishing Communities and Increasing Flexibility in Fisheries Management Act.” Republican co-sponsors advertised the bill as a reauthorization of the Magnuson-Stevens Fishery Conservation and Management Act (Magnuson-Stevens Act) that would allow more “flexibility” in fisheries management. In reality, if the bill became law, it would create giant, dangerous loopholes in our nation’s current sustainable fisheries management program. H.R. 200 is clearly designed to weaken science-based management and harm commercial fishermen. Over 500 chefs, restaurateurs and seafood dealers, 600 fishermen and fishing groups, 200 scientists, 100 non-governmental organizations, and many members of the public nationwide have opposed H.R. 200. Diverse Constituents have repeatedly highlighted the areas in which H.R. 200 falls short and have asked for improvements. Not only have these requests been ignored, amendments to the bill last week make it even worse, especially for commercial snapper and grouper fishermen in the Gulf of Mexico and for anyone who cares about fresh, wild, sustainably harvested Gulf seafood. Snapper and grouper are managed under an Individual Fishing Quota, or IFQ system, that was requested and developed by the Gulf’s snapper and grouper fishermen themselves. This is a type of Limited Access Privilege Program (LAPP) that allows fishermen to harvest a certain percentage of the overall quota. In the case of red snapper and grouper in the Gulf, IFQs have ended overfishing in the commercial sector. Commercial red snapper fishermen have not gone over quota since the implementation of the IFQ system in 2007. Inexplicably, H.R. 200 would place a moratorium on this successful management tool. We have strong concerns with Congressional overreach that prohibits management tools from being considered even if a majority of fishermen support them. 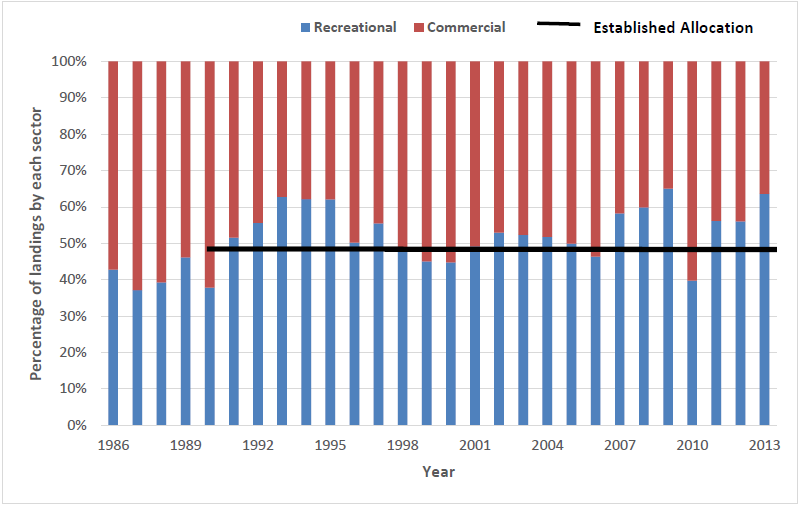 In contrast, private recreational anglers, through no fault of their own and by being subject to an imprecise system of fishing seasons and trip limits, have grossly exceeded their quota almost every year for nearly a quarter century. Rather than try to figure out a better way to manage the private angler sector of the red snapper fishery, radical angling groups have advocated for H.R. 200 to create an exemption for annual catch limits. They falsely state that catch limits don’t work for recreational anglers, when there are concrete examples of ACLs working for recreational fishermen in the Gulf. Between 2010 and 2016, recreational fishermen successfully stayed under the ACL for gag grouper, and the Gulf of Mexico Headboat Collaborative Program successfully took 200,000 anglers fishing in 2014 and 2015 while staying under its red snapper quota, as well. Punishing commercial fishermen and creating loopholes for the private angler sector would be a hollow and dangerous resolution. We all deserve better. Last week, a Congressman from Louisiana introduced an amendment that takes the moratorium on LAPPs a step further, opening the door for additional taxation of commercial fishermen through rents and royalties, and eliminating their representation on the Gulf of Mexico and South Atlantic Fishery Management Councils by suggestion of a financial conflict of interest. First off, why do these restrictions only need only take place in two of the eight fishery management regions in the United States? Why are the other six Councils exempt from this rule? And why is Congress picking winners and losers within the fishery management council system? And following the logic of financial conflict of interest, wouldn’t this restriction also apply to recreational marine suppliers or scientists who have received funding from lobbying groups for research? According to our country’s forefathers, taxation without representation is tyranny and something this country fought to be rid of. This bill is a blatant attempt to remove commercial fishermen’s voices from those two Councils by implying that as business owners, they will only make decisions that will benefit them. This is simply not the case. Commercial fishermen are dedicated to the long-term sustainability of the resources they depend on. Without it, our businesses would crumble, and the nation’s seafood consumers would see their access eliminated. We want to see a bi-partisan bill ensuring that management remains based on best-available science, benefits all sectors of the fishing community, and ensures that the U.S. remains a leader in wild, sustainably-harvested seafood, sustainable fisheries management, and marine conservation. Commercial fishermen are the true conservationists, and we can help keep this country’s fishing industry great. Jim Zurbrick is a lifelong fishermen and resident of Florida who has been an active member of the charter-for-hire and commercial fishing sectors in the Gulf for the last 35 years. As the President for Fish For America, he educates the public about their right to consume domestic wild-caught seafood, promotes science-based management as mandated by the Magnuson-Stevens Act, and is an advocate for accountability for all sectors of the fishing community. He also serves on the Gulf of Mexico Fishery Management Council’s Ad Hoc Red Snapper/Grouper-Tilefish IFQ Advisory Panel.